Answer: You are correct. 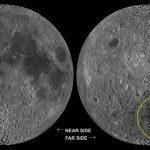 The Moon’s topography varies dramatically. You see the same contrast on Earth in the transition between Great Plains and Rocky Mountains. I found an old photo that shows the area you were probably looking at. 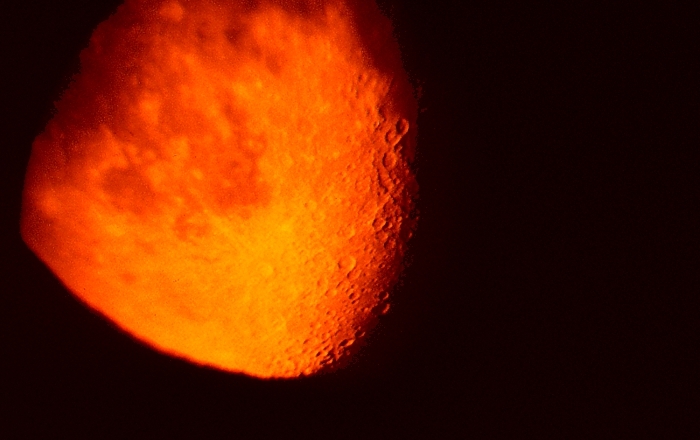 It was taken through a telescope in Kiester, MN many years ago. The 3rd Quarter Moon was setting, which explains the orange color, and the magnification was about 100X. You can see the stark contrast between the cratered area at lower right (Southern Highlands) and the flat smooth area at upper left (Mare Nubium). Also visible is the rayed crater Tycho, right on the border between rough and smooth. The Southern Highlands are as old as the Moon, so it shows the scars from 4–4.5 billion years of impacts. The flat dark parts of the Moon are called maria (singular “mare” pronounced MAH-ray), and are geologically newer (3–4 billion years old by radiometric dating of Apollo mission samples). The maria resulted from lava outflows caused by large impacts. Those outflows were deep enough to bury most of the rough topography. Of course, the younger the terrain, the less time there’s been for new impact craters. See this article at New Scientist for details. Statistically, meteors destined to strike the Moon come equally from all directions. There is, however, a slight asymmetry due to the Moon’s tidal locking with Earth. The Moon’s near side always faces us, and the far side always faces away. As a consequence, some meteors that would otherwise hit the near side are deflected by Earth’s gravity or strike the Earth instead. The thumbnail below shows NASA images of both sides. If you compare the two sides (ignoring the maria) you’ll see that the craters/km2 is slightly greater on the far side. South Pole Aitken Basin, shown in that far side image, is the largest known impact crater in the solar system. It nicely demonstrates the craters vs. age relationship. You can see it’s been re-cratered since it formed, but the craters/km2 is much lower than that of surrounding regions. 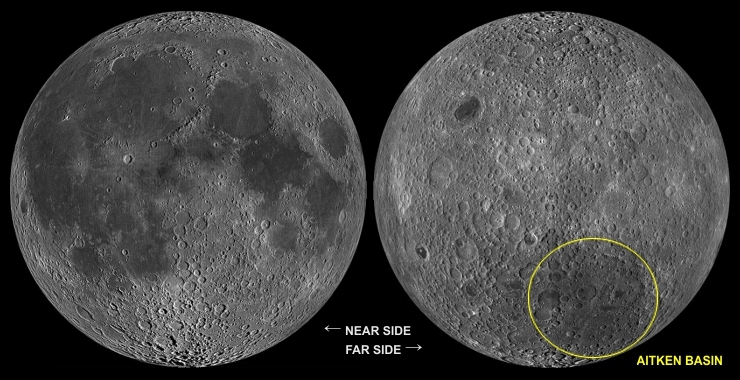 The large impacts that created maria could have happened anywhere on the Moon, but there are fewer maria on the far side. Some planetary scientists have suggested this is due to an asymmetric accretion of the Moon that led to a thicker far side crust. And the thicker crust made it more difficult for large impactors to excavate maria. Others have suggested the distribution of large impacts was simply a matter of chance. We don’t yet know for sure. The ages of many objects in our solar system have been estimated by crater counts. Lacking physical samples for radiocarbon dating, that’s pretty much all we have to go by. Interestingly, some of the moons of Jupiter and Saturn are being continuously “resurfaced” by eruption of material from below the crust or accretion of material from their orbital environment. In those cases, crater counting can date the surface but not the object. This week’s question came from a trained observer of Nature. He has a website/blog called Ron Spomer Outdoors that features some outstanding photography and videos. I’m hoping to see some astrophotos there in the future. If you’re a fan of anything related to the great outdoors, I suggest you check it out.